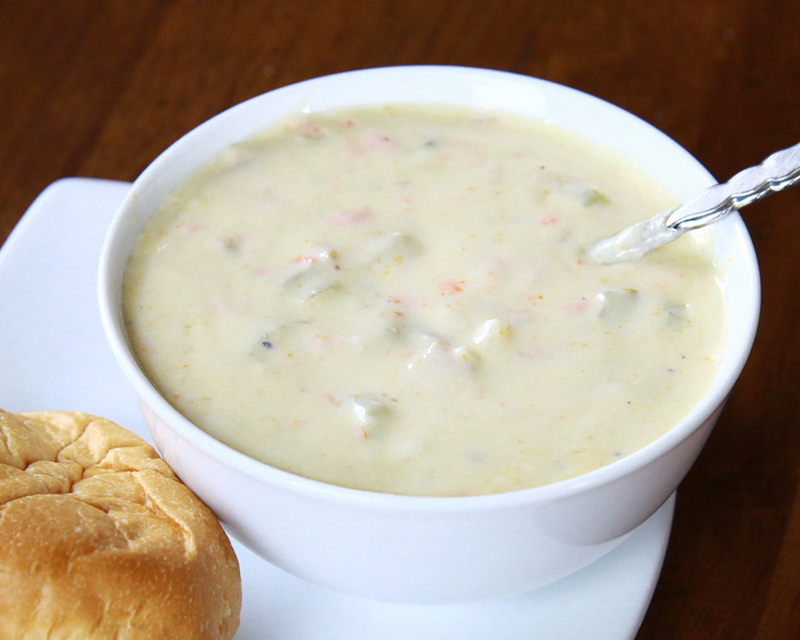 There are two types of people in this world--those that love clam chowder and those that won't touch it. This recipe is for the lovers. It's evolved a bit over the years, and it's my family's most favorite soup. In a large stock pot, cook the bacon over medium heat until cooked through. Add potatoes, onions, celery, carrots and clam juice. Simmer for 20 minutes or until potatoes are cooked through. Meanwhile in another stock pot add butter and let it melt over medium heat. Stir in flour and wisk until blended--cook and wisk for 1-2 minutes to eliminate any raw flour taste. Pour in half and half and wisk until blended. Add milk, sugar, salt, and pepper. Bring to a simmer, stirring frequently and cook until it turns quite thick and creamy--it takes a little while. Stir in white sauce and minced clams to vegetables. Serve.